Congratulations! 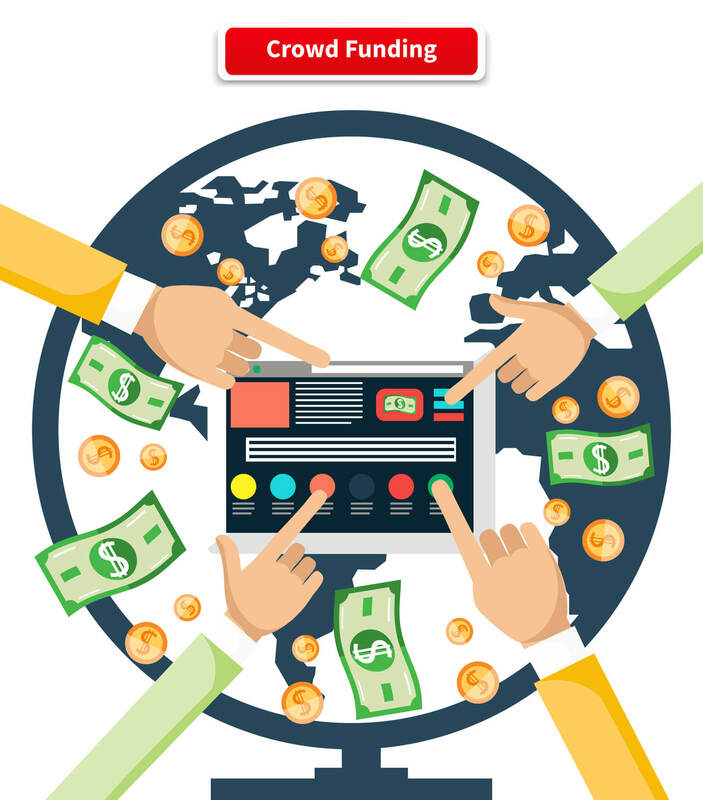 If you are reading this blog about accounting for crowdfunding campaigns, you’ve probably launched a crowdfunding campaign, successfully met your goal, and now received your funds. Because let’s be real. Who even thinks about the accounting aspect for crowdfunding campaigns before they receive funds? Pretty much no one. That’s okay, though. We got your back! It is important to note that this blog is specific to consumer product campaigns, as we know there are other types of campaigns. Alright. You’re stoked! All your hard work has paid off. We know how much goes into a successful crowdfunding campaign. Everything from building pre-campaign email lists to creating ten prototypes before getting it right. But the work has only begun. Now you have money from backers, and you’ve made promises to fulfill rewards (usually in the form of your product). Things got real. Accounting for the funds from your crowdfunding campaign is not as simple as a one-time revenue entry, if you are trying to account for things “correctly”. We wish a one-time entry would would work, but it doesn’t. As stated on Kickstarter, and similar to other crowdfunding platforms, creators’ “fundamental obligation to backers is to finish all the work that was promised. Once a creator has done so, they’ve fulfilled their obligation to their backers”. (Click here, for more about creator obligations). So, when you receive funds, you are now under an obligation, or liability, to fulfill the promised reward. All the money you received has not been technically “earned” at this point. Therefore, these funds are recorded as “unearned revenue” (a current liability), until product has shipped. This is referred to as “deferring revenue”. There is a simple method or more complex method to defer your crowdfunding campaign revenue. Which method do we recommend? In both methods, your ultimate impact to net income, and therefore your taxable income, is the same. Therefore, if you are only recording the journal entry for these purposes, then keep it simple and record only the net amount you see deposited in your bank account. On the other hand, if you are planning to sell your company soon, or you simply appreciate a higher level of detail, then go with the more detailed method. Many business valuations are based on top-line revenue, and the total amount raised by your crowdfunding campaign was rightly raised by your company, as revenue. You would want this full amount reflected, resulting in a higher valuation for the sale of your business. We have seen the difference between the total amount raised and the amount deposited equate to several hundred thousand dollars for a company that was looking for an exit. This can be a big deal! For more on how to calculate the value of your inventory, click here. Unfortunately, the crowdfunding platforms don’t collect your backers’ shipping addresses for you. You will need to be collecting shipping addresses during this phase. To do so, we highly recommend BackerKit, if you are not already using it. BackerKit is a great resource to help creators with all their campaign needs. After sourcing your product and collecting addresses, you are ready to ship your product. From our experience, usually you have received about 80% of your backers’ shipping addresses when you make your first shipment, and the other 20% will trickle in over the next few months. When product is shipped, then you can record “revenue” on your books, and decrease your current liability of “unearned revenue”. This process looks different, depending on whether you used the simple method or complex method described above. For more on calculating COGS and inventory, click here. After a certain period, if backers haven’t responded with a shipping address, creators no longer have an obligation to send their reward. Your financial and legal requirements are technically met, and you can recognize the rest of your “unearned revenue”, or “crowdfunding liability”, as “revenue”. This blog should give you the direction you need in accounting for your successful crowdfunding campaign. Please reach out with any questions. And if you can build a business around your product, this is just a glance into the crazy fun that you’ll experience with ecommerce accounting.